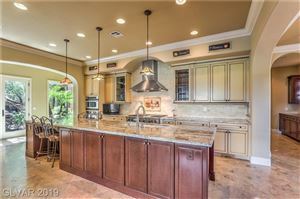 MacDonald Highlands is a 1,200 acre golf course community situated in the southeast of the valley. 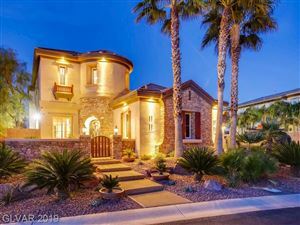 Dragon Ridge Golf Course becomes the focal point of this Henderson guard-gated community. 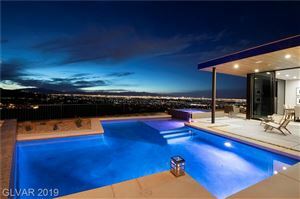 The custom homes for sale here are among the finest, largest and most luxurious in all of Southern Nevada. The community amenities include all kinds of fitness activities. Nestled by the Black Mountains, it affords terrific views of the entire valley. 10 acres of nearby parks, meanwhile, provide the perfect opportunity for hiking, bike riding or other active endeavors. 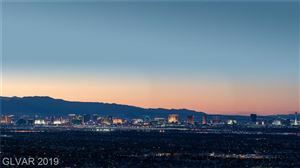 MacDonald Highlands benefits from an amazing location in the Las Vegas valley. 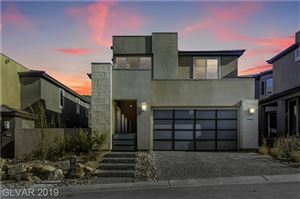 It’s higher elevation and proximity to wilderness areas allows for unobstructed and dramatic views of the city and surrounding landscape. Built in the foothills of the McCullough Mountains, MacDonald Highlands borders the Sloan Canyon National Conservation Area. One of the most unique natural areas in Southern Nevada, Sloan Canyon contains the remains of ancient volcanoes. It also features stunning lava rock peaks ascending above 5,000 feet. The canyon is also home to one of the largest petroglyph sites in Nevada, featuring thousands of pieces of ancient rock art. Less developed than other natural areas in Las Vegas, Sloan Canyon has hundreds of miles of open hiking perfect for the outdoor enthusiast.